2, high class appearance 3, size adjustable 4, manufacturer direct sale Marathon bridle is a more traditional halter/bridle combination, with an adjustable throatlash and noseband. 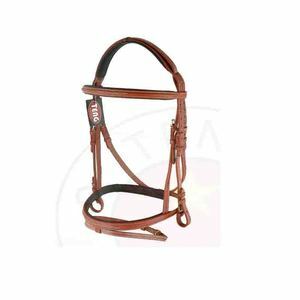 It features quick release snaps on the cheek straps to allow easy conversion from bridle to halter Material Testing report We are a 10-year golden supplier on Alibaba! Welcome to contact us for further information, we are always here to offer you superior quality, competitive price and thoughtful service! 6 YRS Anping County Herdsman Horse Tail Hair Products Co., Ltd.
7 YRS Xiamen Yunfu Industry & Trade Co., Ltd.
And we are the manufacturer , the more COMPETITVE PRICE will be offered to you than other trading We also have our own design and sample group and can cooperate with you on your own design. Grassland Saddlery's team of highly productive, experienced, dedicated, well-trained technical specialists together with our cost effective management, enable us to keep manufacturing costs to a minimum. Our R&D team works closely with our clients to produce the latest innovations according to their requirements and clients are often pleased with the fine workmanship and high quality finish. 1 YRS Xiamen Betensin Technology Co., Ltd.
PVC halter bridle horse sized this browband bridle quickly break away Material: eco-friendly and waterproof PVC coated nylon webbing with embossed/horizontal texture Hardware: Brass hardware Soft padding: PVC material,EVA material Size: 13mm,16mm,19mm,25mm width 2.0mm,2.5mm thickness Color: orange,green,yellow,baby blue,sky blue,red,pink,purple,dark green,black,brown,white ect Feature: cold resistant which can keep working under -50 degree in winter or cold weather waterproof and easy to clean/maintenance durable and soft resistant bad odor/oil ect light weight and be comfort for horse 1.Any size/Any color is available 2.Sample can be offered for checking quality and testing 3.OEM service is available More photoes: Related Items: bridle with double nosebands and rein Single noseband bridle PVC horse halter TPU halter How to find us: Ms Anna Dongguan Lianhang Decorative Materials actory Add: Xiabian District,Houjie Town,Dongguan City523960,Guangdong,China Website: Trademanager: cn1510477264 Tel: 86-769-85759618 or 85756518 Fax: 86-769-85758368 Our Comission: The First PVC equestrian products manufacturer in China The Most competitive quality of Decoration strip/moldingsupplier in China The Most competitive suppliers of TPU/PVC Hunting&Training dog products in China Please don't hesitate to contact us if you have any question or need more further information! Thanks for your attention ! 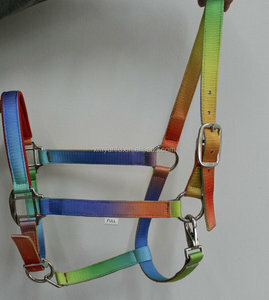 Alibaba.com offers 874 horse halter bridle products. About 46% of these are other horse products, 28% are halters, and 1% are other sports & entertainment products. 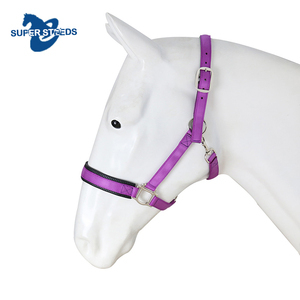 A wide variety of horse halter bridle options are available to you, such as eco-friendly, anti-static. You can also choose from free samples, paid samples. 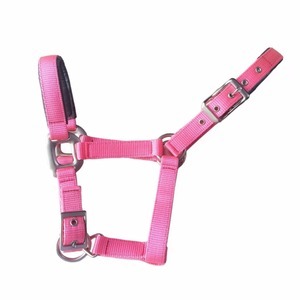 There are 874 horse halter bridle suppliers, mainly located in Asia. The top supplying country is China (Mainland), which supply 100% of horse halter bridle respectively. 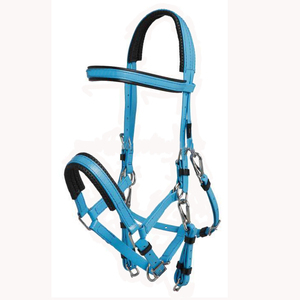 Horse halter bridle products are most popular in North America, Western Europe, and Domestic Market. You can ensure product safety by selecting from certified suppliers, including 150 with ISO9001, 126 with Other certification.